Whether electronic, standard key or combination lock, drilling to get access is quite dangerous. Without the expert knowledge on the manufacture of the safe, you can hurt yourself while drilling it. Furthermore, you’ll damage the safe, making it useless. 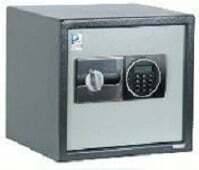 If you’ve locked your self out of your safe, call Great Lakes security Hardware at 888-855-6257.